Our Trustees gave an update about the renovations including the Sanctuary. Watch this video from Trustees Chair Patrick Johnston. Watch this time-lapse video to see the tedious process of removing pews from the Sanctuary. 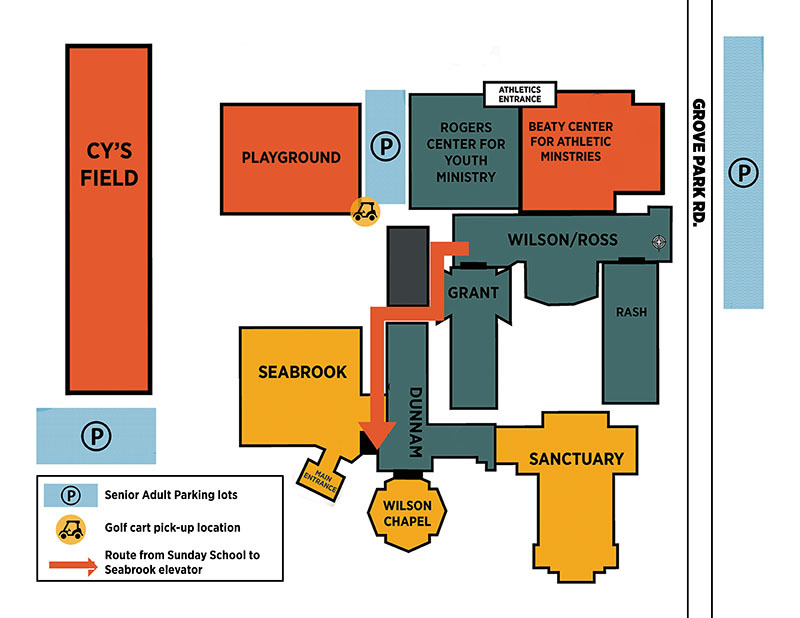 Our Sanctuary is closed for renovations, and that means new locations for worship services. Reserved parking will be designated in the area between the Rogers Center and the playground area (there are also a number of handicapped parking spots in this area). Your patience during the next six months is appreciated! We realize this will be challenging in many ways, but we are excited to be moving forward with these much-need upgrades to our Sanctuary!